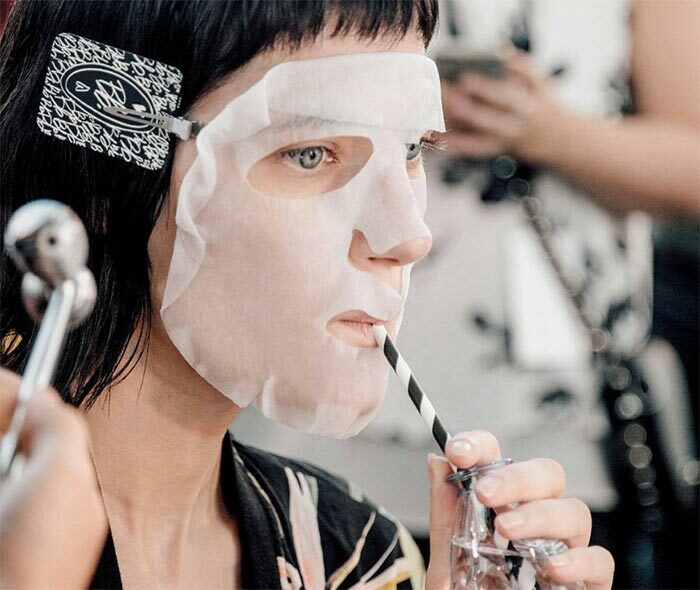 Beauty Banter: Why are sheet masks trending in skincare? Sarah Lee: The portability and ease of use have catapulted sheet masks to rock-star status in Asia and they’ve just started to gain traction stateside. The sheet mask offerings range anywhere from one dollar sheet masks to premium sheet masks that are soaked in an entire bottle of serum and cost dozens of dollars per piece. 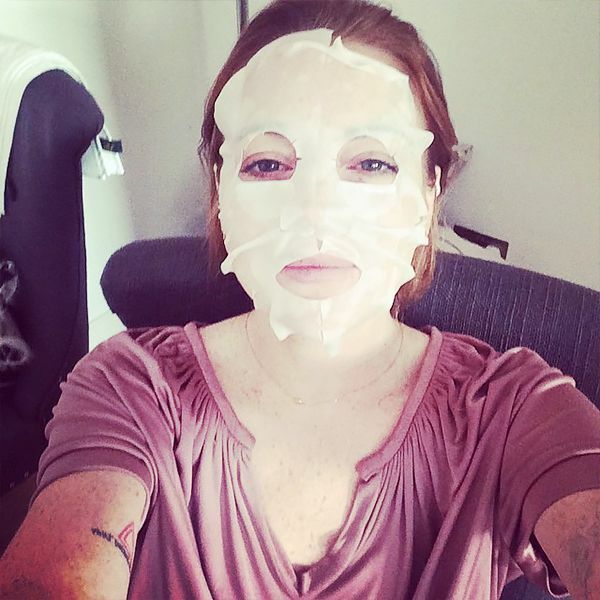 Women love the at-home-spa experience as well as instant results that the sheet masks provide. BB: Explain the origin of sheet masks? SL: Long before sheet masks became a staple in Korean skincare regimes, women would boil water underneath flowers and herbs, then capture the steam on a piece of silk, which they would then apply to the face. Why are they big in asian skincare? SL: Asian women, specifically Korean women, love layering highly concentrated treatments on their skin and are always looking for efficient, visible anti-aging and skin-glowing results. Sheet masks was one of the easy and efficient solutions for this demand which was actually in the Korean market over a decade ago, and interestingly, the sheet mask category is still fast growing in Asia, and now globally. Korean women have also moved from fabric and cotton sheet masks to newer textures such as hydro-gel and biocellulose. These types of sheets hold more ‘juice’ (the industry term for the essence/ serum that the sheet mask is soaked in), and adhere more closely to the skin for instant results. Since sheet masks literally ‘wrap’ the skin for a prolonged period of time, we always look for paraben and mineral oil free offerings. 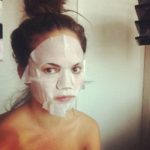 BB: What are the best sheet masks for each skin type? SL: Brightening – Whamisa Organic Sea Kelp Facial Sheet Mask ($14). This is an instant brightening secret of mine and also many customers that swear by the results. Made of 100% real, actual sea kelp rich in vitamins and minerals, this mask is a true luxurious ocean facial. Hydrating – Whamisa Organic Flowers & Aloe Vera Fermented Hydrogel Facial Mask ($9). This clear jelly mask drenched in a full bottle of serum is a skin savior when traveling or having been under dehydrated areas. It’s my go-to for dryness and instant hydration. The blend of fermented organic flowers provide maximum efficiency while being ultra gentle on the skin. Anti-Aging – Whamisa’s Organic Rice Seeds Hydrogel Mask ($9) Rice seed is an excellent ingredient when it comes to firmness and elaticity. This is a different flavor of the jelly mask above. What’s also great about is that it reacts to skin’s temperature and completely adheres to skin to directly deliver the ingredients and their benefits. Combination to Oily – Celderma 3-in-1 Aqua Mask ($29). When I first saw these 3-in-1 masks in Korea a few months back, I thought it was pure genius, as Celderma really understands women’s insights! We all want to travel lightly, and still look glowing. For those with combination and oily skin types, this is the type of mask that doesn’t over-hydrate your skin, but gives it just the right amount that lasts all day. [Comes with] a super effective cleanser to prep and clean and an ultra lightweight gel. Incredibly convenient, and a travel must-have. 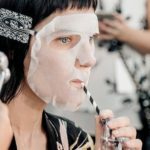 BB: What comes next for sheet masks? Any new innovations on the horizon? SL: Rubber masks have been used at celebrity spas for years and are a favorite among Korean influencers for maintaining a flawless complexion. Called ‘modeling packs’ or ‘rubber packs’ locally, the dense rubber helps to seal minerals into skin, leaving the complexion clarified and baby-soft without evaporation. Rubber masks often contain the ingredient ‘Alginate,’ a kelp derivative that congeals when in contact with water. *Peruse the Modeling Rubber Mask Sets ($11) here.